BioLite the company that transformed fire and heat into a way to recharge your mobile devices, has once again taken to Kickstarter to raise funds for its latest creation the BioLite FirePit. 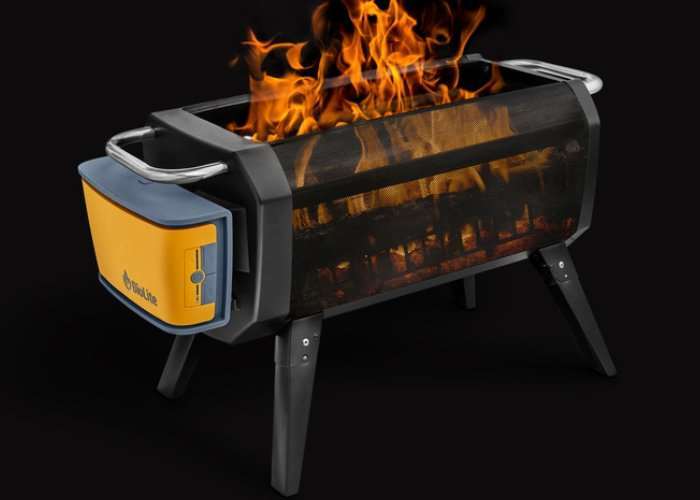 The BioLite FirePit is a large wood-burning fire pit that can both cook your meals and keep you warm, without the irritation of smoke in your eyes. Thanks to its integrated air circulation system which is powered by a battery pack on the side of the fire pit. Watch the video below to learn more about the air circulation technology which has been integrated into the BioLite FirePit to provide a smokeless environment as well as maximising fuel efficiency for $200. You can control that fan intensity using the FirePit’s powerpack or using the free BioLite Energy App for Android and iOS. A smokeless wood-burning FirePit that can cook your meals and give you a front-row seat to everything going on inside your fire. Fire is one of our oldest tools. The glow, the warmth, the smell, it hits on something inside all of us. We love to be around it, yet it always seems to come with this annoying sidekick – smoke. At BioLite, we’ve been cleaning up wood fires all over the world for over five years. This time around, we’ve got our sights set on the fire in your backyard with the BioLite FirePit, a smokeless wood-burning device that cooks your meals and gives you a front-row seat to everything going on inside your fire.